In 2014 I was fortunate enough to walk a number of the Eastern Theater battlefields of the American Civil War. I took the time to visit some of the National Cemeteries along the way, at places like Cold Harbor, Glendale, Fredericksburg and Antietam. Military cemeteries are fascinating places. The National Cemeteries created out of the American Civil War stand to rival anything I have seen on European battlefields. Their scale and uniformity impart the cost of war in a way that it is often visually more forceful than the vestiges of the battlefield themselves. Conversely, they have an inherent beauty that can sanitize our vision of the horrors of death in conflict. 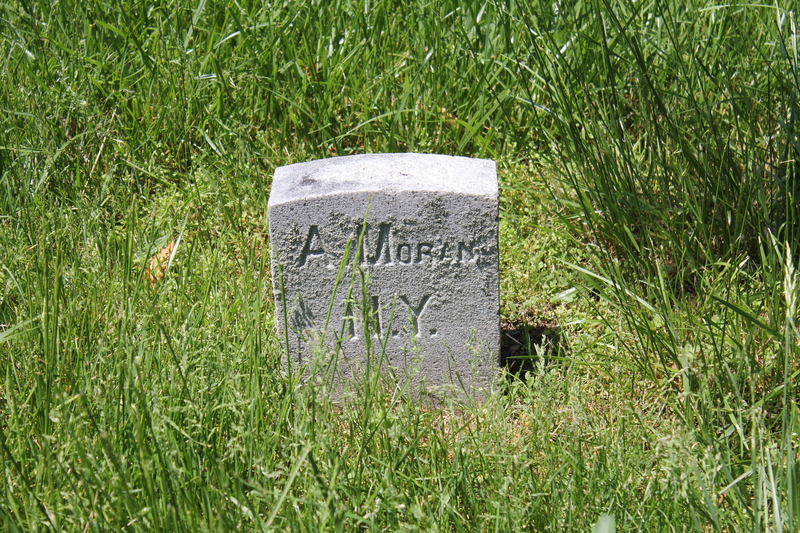 As I walked through the rows of white headstones, I photographed any of those which bore “Irish” names. I have had the chance to go back through some of those images, seeking to learn more of the men whose remains lie below the stones, and of those they left behind. A mere handful of these brief stories appear below, relating to Irish-born New York soldiers whose graves I passed at Fredericksburg, Cold Harbor and Antietam. James was 42-years-old when he enlisted on 22nd August 1862, in Rochester. He became a Wagoner in Company K of the 140th New York. Born in Ireland, he was a blacksmith by trade and had blue eyes, dark hair, a dark complexion and was 5 feet 7 inches in height. James was wounded in action on 5th May 1864 at The Wilderness (likely in Saunders’ Field), and died of a result of those wounds. His muster roll abstract records that he was “in 10 battles”. James McEntee’s death would have been felt by many. 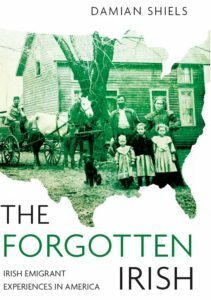 The 1860 Census records 39-year-old James in Rochester’s Eighth Ward where he lived with his wife Maria (40) also born in Ireland, and their ten children who had had been born in New York. They were John (19) who was also a blacksmith, Maria (17), a seamstress, Catharine (16), a servant, Thomas (15), a laborer, Agnes (13), James (11), Louisa (9), Sylvester (7), Charles (5) and Richard (2). A widows pension was claimed but not granted on 12th August 1918. James enlisted aged 32 on 3rd August 1861 in Poughkeepsie and became a private in Company K of the 57th New York Infantry. He was killed on 11th December at Fredericksburg, hit by fire from sharpshooters, who inflicted casualties on the regiment as they were on the banks of the Rappahannock supporting the pontoon laying. 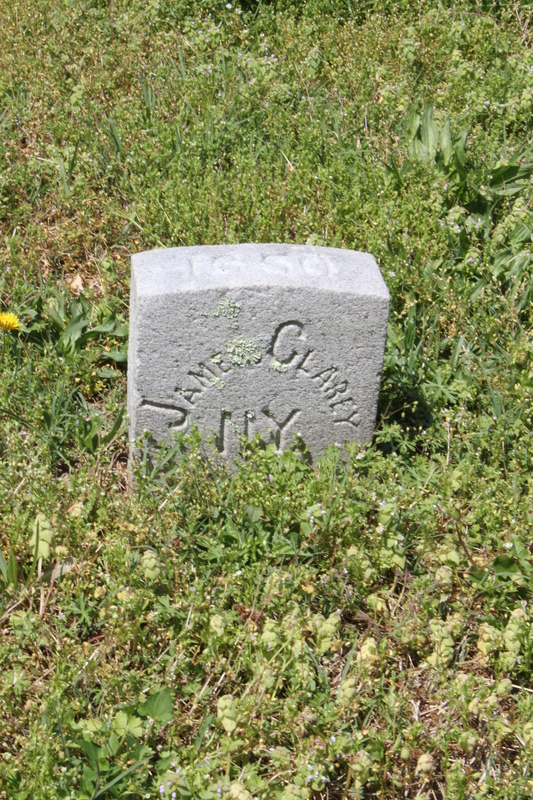 He is likely the James Clary enumerated in Poughkeepsie Ward 1 in 1860. The then 30-year-old worked as a striker (a blacksmith’s assistant), with his wife Bridget, a laundress. Both had been born in Ireland. They had three-children, all born in New York; Michael (9), Mary (7) and John (3). His wife applied for a widow’s pension on 20th January 1863, but unfortunately the pension index card also records a subsequent claim for a minor’s pension, suggesting Bridget passed away before all her children had reached 16 years-of-age. Anthony enlisted on 12th August 1863 at the age of 22 in Buffalo, becoming a private in Company C of the 76th New York Infantry. He was a substitute for John Green of Cheektowaga, Erie County, who had been drafted. An Irish-born farmer, he had hazel eyes, brown hair and a fair complexion, and was 5 feet 8 1/2 inches tall. He was reported killed in action at the Battle of the Wilderness, with his death dated 8th May 1864. His mother successfully filed a pension claim based on his service on 1st February 1871. Thomas was 19-years-old when he enlisted on 20th August 1863 in Yorkshire, New York. He became a private Company H of the 146th New York Infantry, joining the regiment on 20th October 1863,. Thomas was a substitute for Riley Phillips, who had been drafted. The young man had been born in Ireland and had previously worked as a laborer. He was described as having grey eyes, brown hair and a light complexion, and was 5 feet 6 1/2 inches tall. 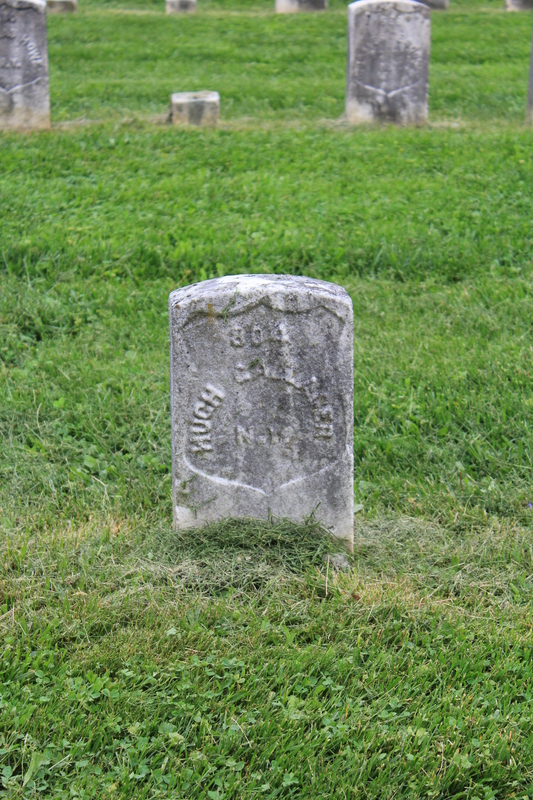 He was killed in action on 14th May 1864, while on the skirmish line at Laurel Hill. Lawrence was 23-years-old when he enlisted in New York City on 4th September 1861. The Irish-born cooper became a private in Company D of the 25th New York Infantry. He was originally from Fanningstown, Co. Kilkenny. He was described as having grey eyes, brown hair, a light complexion, and was 5 feet 9 inches in height. He was killed in action at Hanover Court House on 27th May 1862. Lawrence’s father William, who lived at 59 Mott Street, successfully filed a pension claim (WC140169) based on his son’s service. James was 32-years-old when he enlisted in New York on the 8th August 1862. 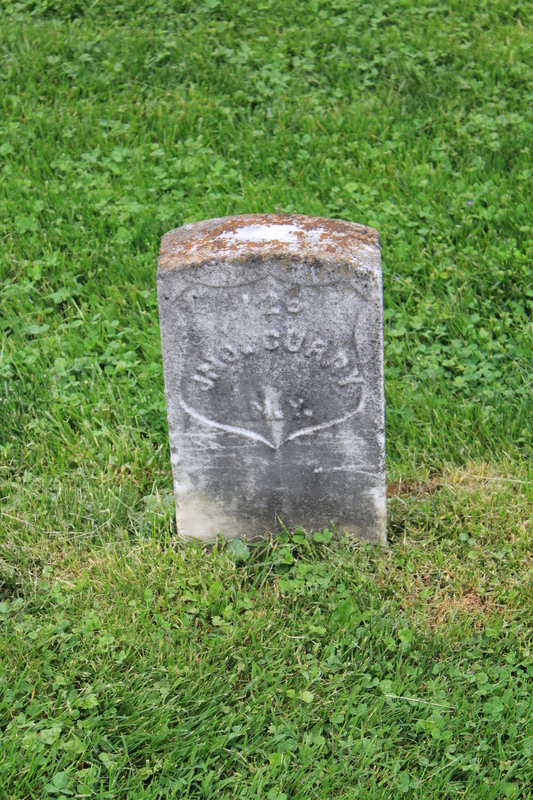 The Irish-born laborer became a private in Company B of the 170th New York, Corcoran’s Irish Legion. He was killed in action at Cold Harbor on 12th June 1864. His wife Mary (née Dillon) received a pension (WC41842) based on his service. She was left to care for their son Edward, who was not yet 4 when his father died, having been born on 2nd October 1861. 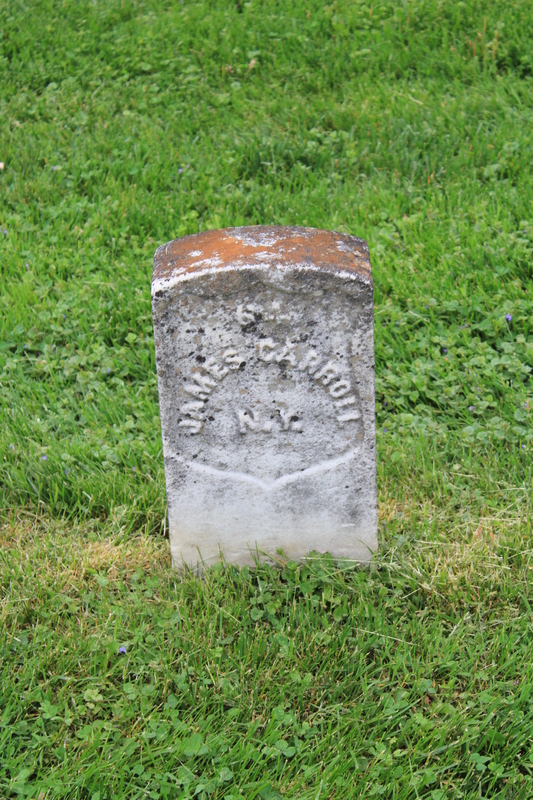 James was 25-years-old when he enlisted on 18th May 1861 in Seneca Falls. He became a private in Company K of the 33rd New York Infantry. 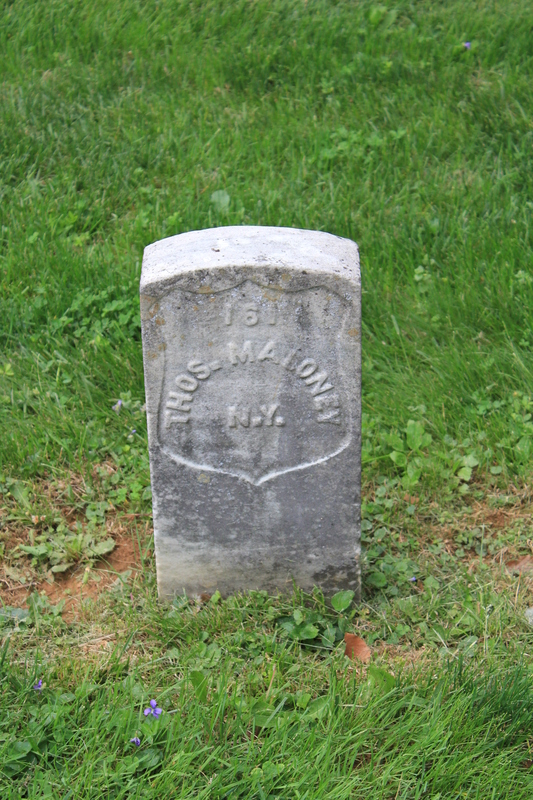 Born in Ireland, he was reported absent sick in hospital on 31st October 1862, and died of chronic diarrhea at Seminary Hospital, Hagerstown, Maryland on 9th November that year. He had married Mary Riley on 23rd August 1860, and their son James Junior was only a little over a year-old when his father died (WC41174). Thomas was 39-years-old when he enlisted on 25th September 1861 in Albany. He became a private in Company K of the 63rd New York Infantry, Irish Brigade. Wounded in action at Antietam, he died as result of his injures at Frederick, Maryland on 4th October 1862. He had married Catharine Costello in Ireland in 1845, prior to emigration (WC989). The couple had one child under the age of 16 at the time of Thomas’s death, who had been born on 17th March 1849. Walter was recorded as 28-years-old when he enlisted in New York on 9th September 1861. In reality he must have been some years older. 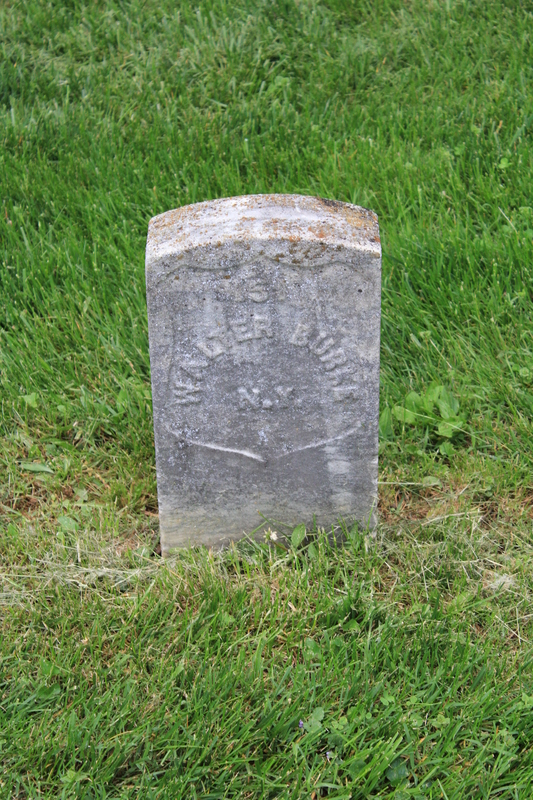 When he mustered in he became a private in Company G of the 69th New York Infantry, Irish Brigade. 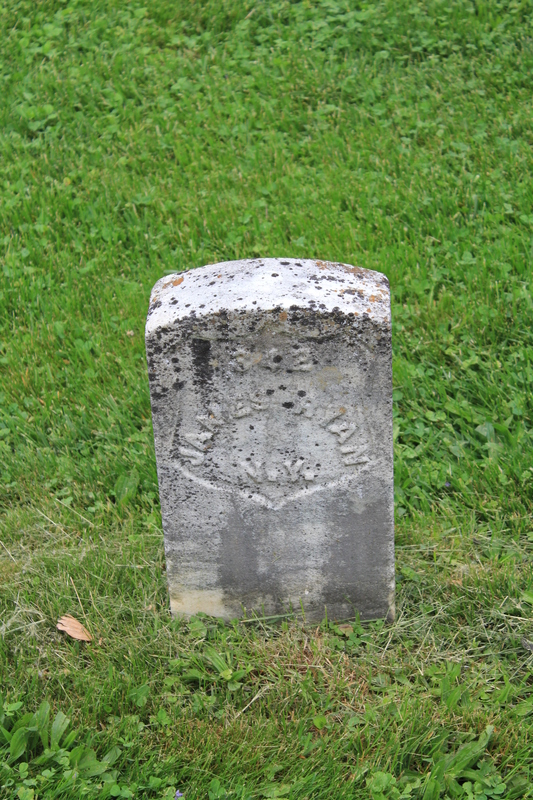 Wounded at Antietam, Walter died as a result at Frederick, Maryland on 27th September 1862. Walter’s officer remembered him getting a “severe wound in the thigh” at the battle, as a result of which he was sent to the hospital. Walter had married Eliza Anderson in a Protestant church in Co. Kilkenny in 1847, but as Walter was Catholic they repeated the ceremony in a Catholic church when they came to New York, at St. Patrick’s Cathedral. Eliza received a widow’s pension after Walter’s death (WC27188). John was 32-years-old when he enlisted on 21st August 1862. He would become a private in Company C of the 5th New York Heavy Artillery. Prior to the conflict John had been a mason, having spent ten years as a bricklayer. John was from Co. Cavan, where his father Patrick had died in October 1841. He had afterwards emigrated with his mother Mary and siblings. John took ill during his service, and was hospitalized in Frederick, Maryland. He passed away on 15th January 1865, with his cause of death recorded as asthma. His mother Mary was awarded a dependent mother’s pension based on his service (WC86628). 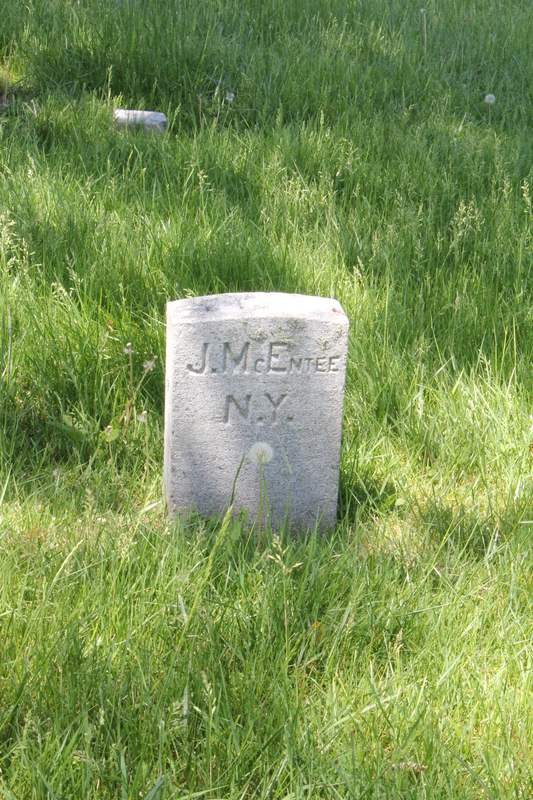 James was 36-years-old when he enlisted in Seneca Falls on 15th December 1863. 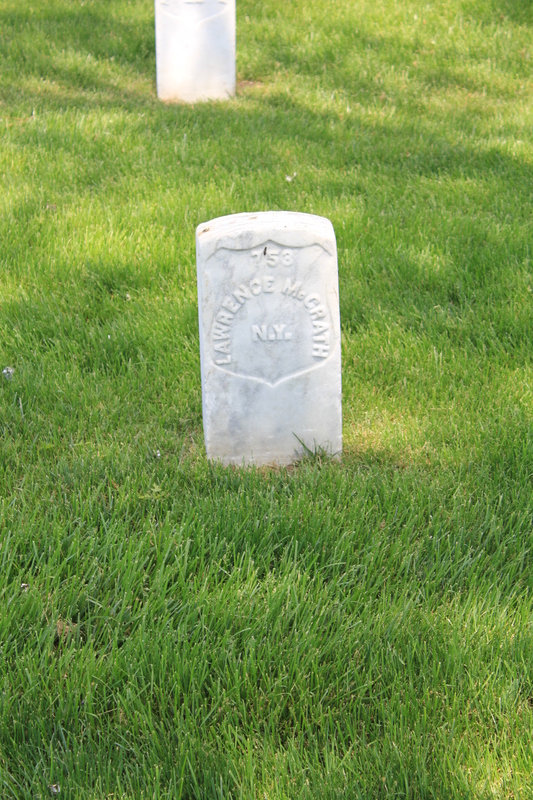 He mustered in as a private in Company C of the 9th New York Heavy Artillery. Previously a laborer, Irish-born James was described as 5 feet 6 1/2 inches in height, with grey eyes, dark hair and a dark complexion. James had married Irish emigrant Alice Martin at Syracuse in February 1853. They went on to have three children– Mary Ann (b. 1853), Caroline (b.1857) and John Francis (b.1860). The family appear on the 1860 Census in Seneca, where James was recorded as a day-laborer. Tragedy struck when Alice died in Seneca Falls on 25th August 1861, leaving James a widower. 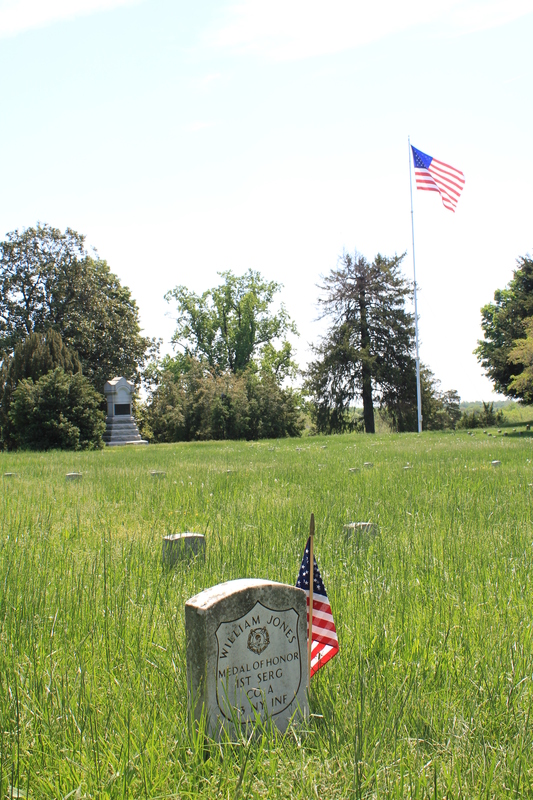 He suffered a gunshot wound at the Battle of Monocacy on 9th July 1864, and died as a result in Frederick three days later. This left his children oprhans; a minor pension was later granted to help support them (WC141503). Widows and Dependent Parents Pension Files. Thanks for this interesting and poignant post. It has special meaning for me, Damian, given the location especially. Have you been to Togus Maine? The cemetery is magnificent with a large Celtic Cross right there. It was the site of the first Old Soldiers Home. 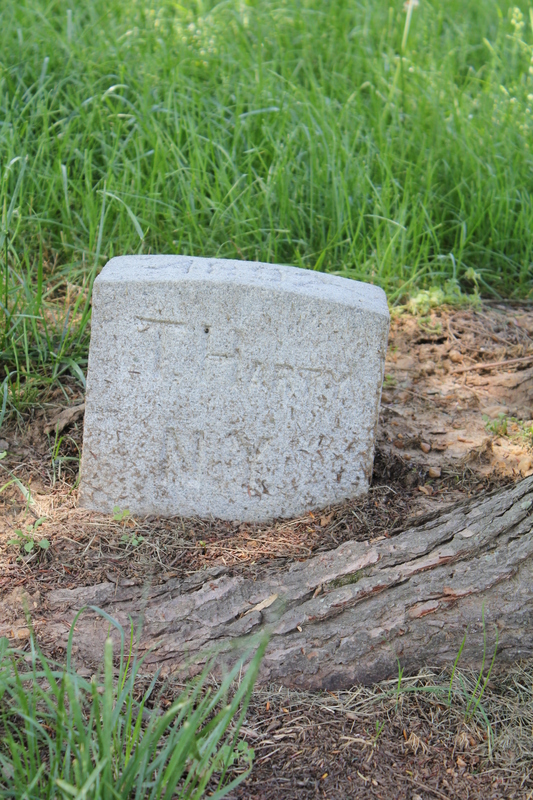 Civil War vets are buried there.It’s now VA property. My GG Grandfather is interred there. He was in the NY 5th Inf Vet Vol. Many thanks for the comment. I haven’t unfortunately but would certainly like to visit, I have touched on the stories of a few men who spent time in the Home. DO you have any photos of your GG Grandfather’s grave? Thank you for this great post. 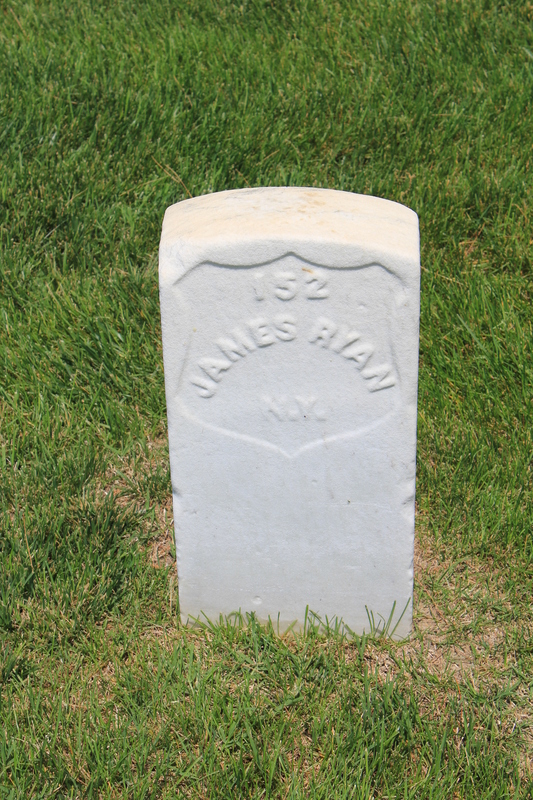 My GGGrandfather, John Flanagan, MA 9th Infantry is buried in Fredericksburg National Cemetery. Killed at The Battle of the Wilderness, May 5, 1864. Interesting stories Damian..my 3rd great grandfather(Francis Connor) was with the 162 NY Vol Infantry. 3rd regiment..Enlisted in NY and died in Baton Rouge, Louisiana Family lore said he volunteered to fight in place of his son but I do not know if this was true. He is in the National Cemetery in Baton Rouge. Came to New York from Co. Meath in 1851..worked as a gas lamp lighter. Wish I knew more to share. Thank you for sharing. Many thanks for the comment. That is interesting if he did go instead of his son, it would be a great one to corrorborate. Have you sought pension files based on his service? Hope someday you’ll get to review some of the Massachusetts sites. Thanks John! I hope so too!